and his imaginative programming communicates his intellectual curiosity. 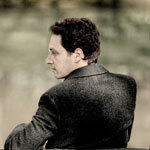 Macedonian pianist Simon Trpčeski has established himself as one of the most exciting pianists performing today. 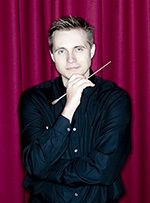 Working regularly with a list of conductors that includes Zinman, Andrew Davis, Maazel, Jurowski, Tortelier, Pappano, Ashkenazy, Dutoit, Alsop, Dudamel, Petrenko and Noseda, he performs regularly with the world’s most significant orchestras, including the London Symphony, Philharmonia Orchestra, London Philharmonic Orchestra, the Royal Concertgebouw Orchestra, Russian National Orchestra, St. Petersburg Philharmonic, Rotterdam Philharmonic, DSO Berlin, Bolshoi, Danish National Symphony Orchestra, NDR Hamburg, Strasbourg Philharmonic, Royal Stockholm Philharmonic, Orchestre National de France, Royal Flanders Philharmonic, Royal Liverpool Philharmonic, New Japan Philharmonic, Hong Kong Philharmonic, Seoul Philharmonic, Sydney and Melbourne symphony orchestras and on tour with the New Zealand Symphony. 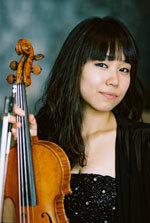 Born in Seoul in 1989, Soo-Hyun Park began playing the violin at the age of seven. From 1999 she attended Dora Schwarzberg’s masterclasses at the University for Music and Performing Arts in Vienna, where she was also taught by Lucia Hall and Anna Kandinskaia. 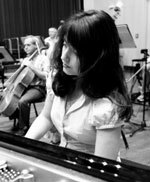 Born in 1991, Sophie Pacini started piano at the age of ten at the Salzburg Mozarteum, where she joined the Institute for Highly Talented Musicians in 2004. From 2007 she continued her studies with Pavel Gililov. She has won numerous national and international competitions, including the Young Musicians Award in 2002 and 2005, and the Grotrian-Steinweg competition in Braunschweig in 2006. She was recently the youngest candidate to win the Austrian universities’ Great Scholarship Prize, founded by Hildegard Maschmann and endowed with 12,000 euros, as well as the Huebel Scholarship Prize of the Mozarteum University of Salzburg. In early 2011 she gave a recital at the Sommets Musicaux de Gstaad and won the Edmond de Rothschild Group Award, which enabled her to record this CD. Stephen Kovacevich is one of the most searching interpreters. 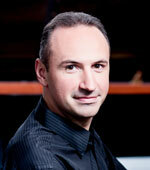 As a pianist he has won unsurpassed admiration for his playing of Beethoven, Brahms, Mozart and Schubert. In addition to his long and distinguished career as a soloist he has conducted for many years, winning warm praise for his work with orchestras throughout the world in repertoire from the 18th and 19th centuries. Kovacevich has enjoyed two long-term relationships with recording companies, first Philips and then EMI. Kovacevich has recently recorded Beethoven’s Diabelli Variations for Onyx Classics, exactly 40 years after his first recording of the work for Philips in 1968. Susan Graham is world famous in opera, concerts, and recitals – and particularly in the French repertoire which marks her wonderful debut on Onyx Classics, Un frisson francais. Born in New Mexico and raised in Texas, Susan Graham studied at Texas Tech University and the Manhattan School of Music. Dubbed "America's favorite mezzo" by Gramophone magazine, the Grammy Award-winning singer captivates audiences with her expressive voice, tall and graceful stature, and natural, engaging acting ability in comedy as well as tragedy. Her hometown of Midland, Texas, has made September 5 its annual "Susan Graham Day"! 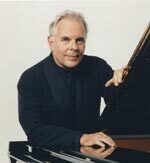 Theodore Kerkezos was twice nominated for the 50th Annual Grammy Awards in the categories "Best Instrumental Soloist Performance with Orchestra” and "Best Classical Album”. He has recorded and performed the complete saxophone’s repertoire with orchestras such as the London Symphony, London Philharmonic, Philharmonia, St Petersburg Philharmonic, Moscow Radio Symphony, Zurich Symphony, Berlin Symphony and he has collaborated with Vladimir Fedoseyev, Yuri Bashmet, Yuri Simonov. Works by Iannis Xenakis and Mikis Theodorakis are dedicated to him. Viktoria Mullova is an internationally acclaimed artist who studied at the Central Music School of Moscow and at the Moscow Conservatoire. Her extraordinary talent captured international attention when she won first prize at the 1980 Sibelius Competition in Helsinki and the Gold Medal at the Tchaikovsky Competition in 1982. Since then, she has appeared with most of the world's greatest orchestras and conductors and at the major international festivals. Recently she has developed a passion for Baroque music in collaboration with leading artists such as Il Giardino Armonico and Giovanni Antonini, Giuliano Carmignola and Ottavio Dantone.